After a tumultuous rebound for his blatant statement not to insert the video clip of the burial of Pres. 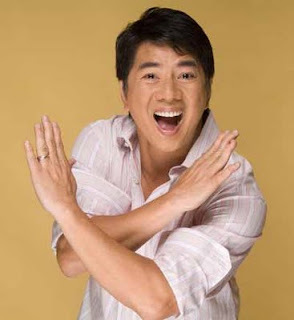 Cory Aquino in August 3, Sen Manny Villar has offered one slot for Willie Revillame to complete the senatorial candidates for the 2010 elections of his party. What is really the criteria for a Senatorial candidate? Under the Omnibus election code, a candidate should be of legal age, resident of the Republic of the Philippines, no criminal records. Basing on this criteria, Willie is qualified. More qualified than Joey de Leon, Willie's nemesis at the other station...hahahaha. I like Willie far better of than Joey. Thou Willie is too candid sometimes, he still magnanimous. He can accept his mistakes. That is the most important part. To no offense to Joey of course. We are waiting for development whether Willie will accept the offer of Senator Villar. If he runs for Senate, does he have the chance to win. Amidst the dirty criticism blown to him, in terms of popularity he has still the edge. Wowowee has made him popular and even a 50,000 votes and soaring high still were cast to let him return to the popular noon time show, Wowowee. Manny Villar is using good logic here. He is applying the argument of popularity for offering Willie a senatorial slot under his party. 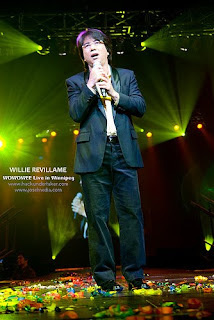 For those who are angry to Willie....time will judge.